French Fries: A gift the gods bestowed upon us centuries ago as a reward for pretending to like kale. Don't bother fact checking that, it's one hundred percent historically accurate. While we've been enjoying them for years, has anyone ever compiled a comprehensive list of everything the french fry has to offer? Settle down folks, today is the day. 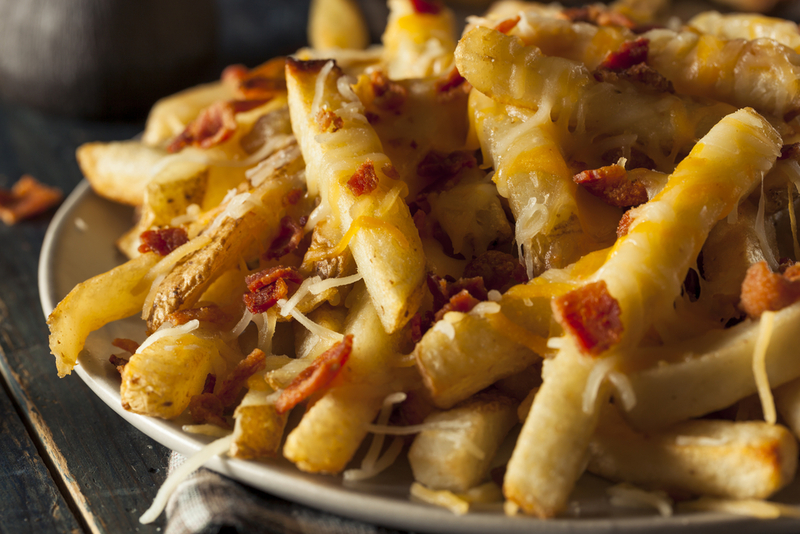 Feast your eyes on the definitive guide to all things fries! 1. The Classics Traditional, Shoestring, Batter-Dipped, Crinkle Cut, we could on and on. These "classic" french fry forms paved the way for the many blessings that followed in their path down the fryolator. They simply cannot be beat...or can they? 2. Waffle Fries Ah, the waffle cut. Merging two great kitchen icons into one beautiful masterpiece. Equal parts crispy and delicious, they even feel a little fancy. 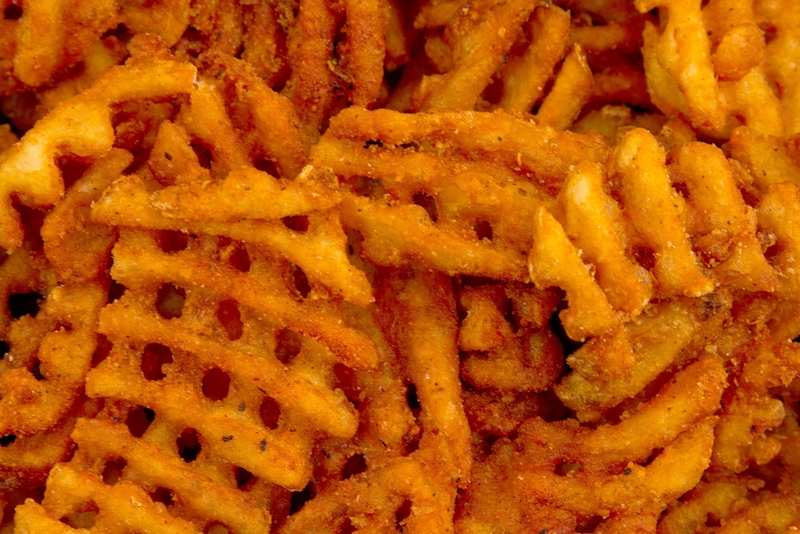 Bonus: a formidable case could be made that Waffle Fries make up a balanced breakfast because ... waffles. 3. Steak Fries Could you imagine if Steak Fries were actually made of steak? Someone call a scientist and make that happen. In the meantime, we've got the regular version which is certainly nothing to shake a potato at. We've all been there when the waiter brings over your meal only instead of regular fries there are Steak Fries on the side and for the first time in your life you experience true happiness. 4. Wedges Wedges are essentially Steak Fries' chubby cousin. Usually crispier and with a little more seasoning, Wedges are definitely the party starter in the family. 5. Fries w/ Toppin's Do you ever just take a quick second to blast a finger gun and wink up at the sky thanking the glorious gentleman who first said, "Hey, what if we put cheese on these things?" No? Just me? Liars. It doesn't stop at cheese, either. Poutine, chili cheese, bacon, you name it! No matter what food you love, there's a good chance you can toss it on your fries and make something amazing happen. Reach for the stars. 6. Sweet Potato Fries Whenever there are sweet potato fries on the menu, you are legally obligated to substitute them for the real thing. You've had the regular ol' potato ones for years but then here come sweet potatoes blasting through your taste buds Kool-Aid Man-style. They're like a french fry vacation for your mouth. 7. 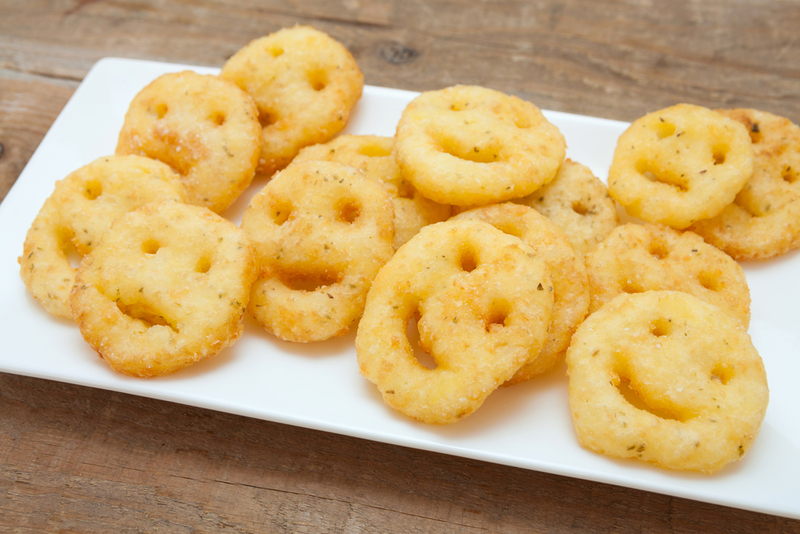 Smiley Face Fries Goldfish ain't the only snack in town that smiles back. Ever since these lil' guys hit the scene they've become a worldwide phenomenon. And for good reason. Finally, a french fry that looks at me the same way I look at it. 8. Curly Fries A food that is perhaps just as much fun to play with as it is to eat, the curly fry has long been a staple in the potato game. If every diner in America just put a big ole picture of curly fries outside instead of some lame sign, they would instantly triple their business. 9. Tater Tots Taaaaahhhhhhhhts. That is, in fact, the proper way to address a Tater Tot by the way. These tiny barrels of joy are so much more than their small cameo role in Napoleon Dynamite. 10. Hack: The Milkshake Dip This particular hack has been around for a while now but there are still so many non-believers out there. Tragically, one only has to try it to be forever changed for the better. Chocolate or vanilla, curly or crinkle, the combinations are both endless and flawless. Happy dippin', folks!